As a child, my mother would stand on the porch of the third floor projects in the St. Bernard Housing Development and scream my name when it was time to come inside. Worried about what was waiting in the hallways leading to our apartment, she would meet me half way to ensure my safety. You see, trauma was normal growing up, but the hardest part was finding the best way to deal with it. This November, I’ll be thirty-five years old. To some, it is a time to celebrate, but for me, it is the time I fight to hold back tears because it means another year my dad has been incarcerated. For thirty-five years, I have been denied the opportunity to wake up and say, “Good morning, Daddy,” and “Have a great day.” Instead, I have repeatedly heard, “You have a collect call from an inmate at a Louisiana State Prison.” I have spent my life with my dad behind bars, trying to raise me as if he were present in my life. I cannot tell you what it is like to have dinner with my dad or to attend an event with him. I was never afforded that opportunity. These are my words and my thoughts on breaking the cycle that children of incarcerated parents often face in New Orleans and how it affected me personally. 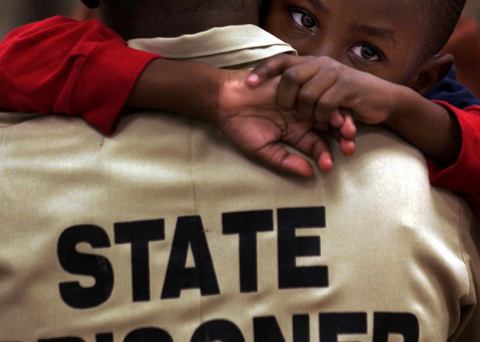 In addition, this essay will argue for the critical role city and state officials, along with community leaders, have in providing solutions to end the trauma that children with incarcerated parents face. More importantly, this essay provides guidance on how to break the cycle of broken families in New Orleans. Read more at Loyola Law Review.